small: wd- 3.55" x ht- 2.94" medium: wd- 4.07" x ht- 2.94" large: wd- 4.70" x ht- 3.90"
Fun and quick to stitch! Boys love sharks - stitch it in pink for the girls! 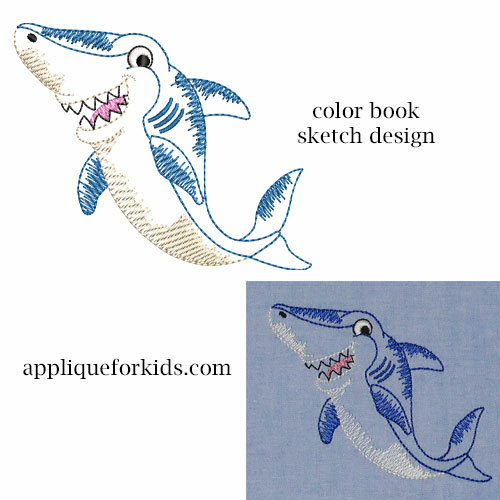 The color book sketch designs are softer for the kids to wear than a normal fill or applique.